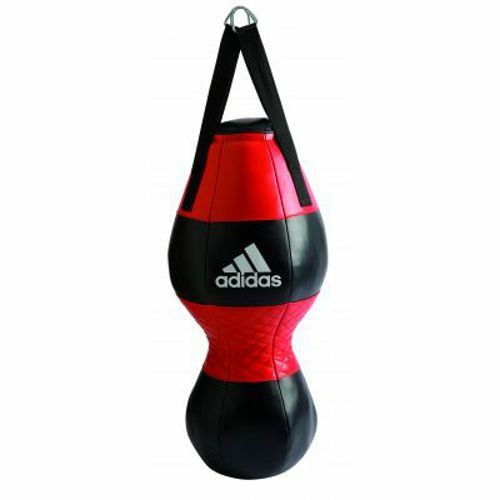 The Adidas double end bag has a polyurethane construction with a woven backing. It is filled with textile cuttings to weigh ca. 22kg (48lbs) and has a slim hitting area quilted on black leather. There is a zipper opening on top of the bag. The strong nylon straps are attached with rectangular hooks. On the bottom of the bag there is a D-ring. for submitting product review about Adidas Double End Bag.